Membership of the Association is available to Australian Citizens and overseas membership is also welcome . The Financial Year for Membership runs from the 1st July to the 30th of June and and there is no provision for pro rata fees. $75.00 AUD – Riding Members – Australia only. 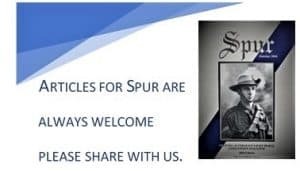 Additional copies of the”Spur” $15.00 AUD (Plus postage for overseas Members). The Association provides for its Members Public Liability Insurance (Australia only) with a limit of $20,000,000. Corporate protection , and assistance in training including a Training Manual.